Hopefully, by now, most of you folks in Hurricane Matthew’s flight path who evacuated are safely back in your homes! Yet by the photos of the destruction wrought by Hurricane Matthew, some folks surely have lost their homes or sustained significant damage thereon. For those of you who waited, holed up inside your homes, we hope you were safe and didn’t have to be rescued by firefighters, as was the case for some unfortunate homeowners as flood waters reached heights of 4 feet. I’ve heard from people who live on Florida’s east coast—Cape Canaveral to Daytona Beach to St. Augustine, Coastal Georgia up to the Carolinas, where anywhere from 5-12” of rain fell before 70-120 mile-an-hour winds howled for periods up to 12 hours. “It’s like nothing I’ve ever experienced” was a common expression, as folks surveyed the damages. Huge pines and many of Savannah’s famous 150-yr old live oaks took quite a beating, some bowing to their vulnerabilities. Ironically perhaps, many of those same oaks were planted in the aftermath of hurricanes in the late 1800s. They lasted over 200 years, only to meet their fate in Matthews cruel grip. The trail of destruction was, and is, indeed depressing to view. Innocent coconuts hanging on trees became instant missiles, street light poles became projectiles, along with tree branches and unsecured porch & deck furniture. Water barged through sea walls, busting them like toothpicks. 6-15-ft storm surges caused unprecedented flooding and beach erosion, damaging piers and waterfront businesses and homes, as Matthew hurled everything from Category 4 hurricane winds down to Category 1 storm winds. Additional damage was felt well inland from the coasts as excessive inches of rapid rainfall simply overwhelmed drainage ditches causing waist-high flooding in some areas. These areas, in particular, sustained surprise flood damage, insomuch as they’re not technically in a ‘flood plain’. Awaiting bridge inspections and road openings, I suspect you wondered…what will we find, what will we see, what will we come home to? How shocked will we be that our realities of yesterday may only be memories in our heads…never to be experienced or enjoyed again? Hopefully the dusk-to-dawn curfews and 24 hr. curfews and the saturated presence of law enforcement and military troops kept many looters at bay such that you returned to your valuables and keepsakes, all, pretty much intact. Power lines down, trees strewn asunder, obscured hot wires lurking beneath the laying water & debris no doubt delayed your being able to ‘power up’ your electricity, your gadgets, your lights—all of which carried with it some of your hope, right? As I have said before, as I survived Hurricane Sandy in New Jersey without electricity for 15 days, I was quick to remind myself and my neighbors that we NEVER lost power. Our power is within; our power is generated in our hearts, in our souls, in our giving, in our gratitude. So many of us prayed with you these past two weeks, we prayed you would not feel the disconnect resulting from temporary electricity loss; yet would rather feel the spiritual, psychic connection between each of us. And we prayed that strength buttressed by our safety would somehow go ‘on-loan’ to you, until you could stand tall again, on your own. Many of us thankfully dodged a bullet; we have some clean up, yet no real physical damage. Yet the psychological effects are worthy to note. Being prepared made the inevitable ‘wait’ a BIT easier. If we weren’t prepared, hadn’t boarded up our windows & doors, put our hurricane shutters down, we would have surely sustained FAR more damage, and loss. Document all damaged property and belongings. A free smartphone app developed by the National Association of Insurance Commissioners called “MyHome Scr.APP.book” is available to assist with photo documentation. Report any damages to your homeowner’s or flood insurance company. 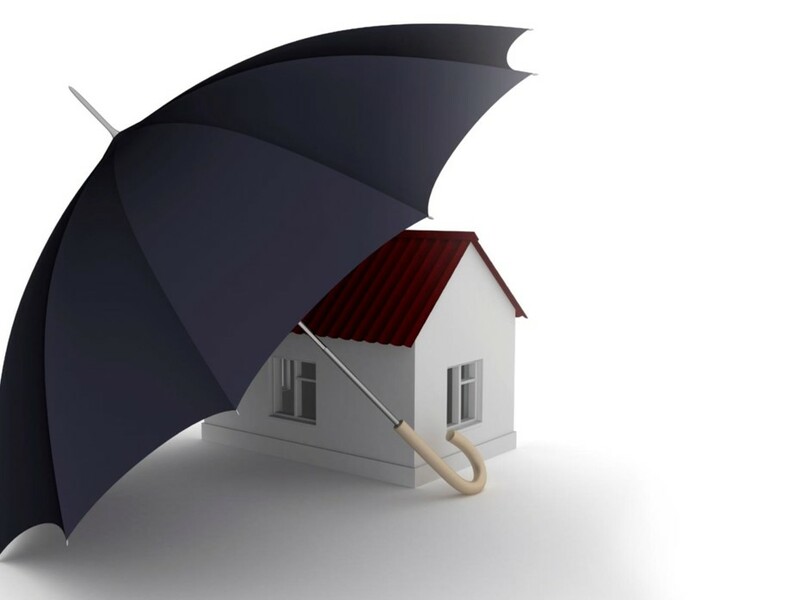 What will your homeowner’s insurance cover? In most cases, tree, roof, siding damages—including if trees fall onto your home–yet not flooding. If you purchase replacement items, keep all of your receipts. Even folks without flood insurance MAY qualify for Federal Grants for limited food and shelter monies. Low-interest loans may also be available. If you can access the internet, search for Hurricane Matthew financial assistance in your preferred search engine, and seek out those sites particular to your state or county. To apply for assistance through FEMA, visit DisasterAssistance.gov, click “Apply Online” and use your state’s number; North Carolina’s number is 4285. Individuals may also apply on the FEMA mobile app or by phone at 1-800-621-3362. Toll-free numbers are available from 7 a.m. to 11 p.m. daily. Homeowners can apply for up to $200,000 to repair/replace damaged real estate. Homeowners and renters can apply for up to $40,000 to repair/replace damaged personal property, including vehicles. Small businesses and most private nonprofit organizations in affected counties may apply for SBA Physical and Economic Injury Disaster Loans. For information or to request application forms, call the SBA’s Customer Service Center at 800-659-2955 (800-877-8339 for the deaf and hard-of-hearing) or send an email to disastercustomerservice@sba.gov. The amount of rainfall in Category 1-4 storms can completely render drains ineffective; the ground is saturated and there’s no place for the additional rain to run off, such that back-ups occur and flooding persists. As such, I can well appreciate the surprise at how flooding can occur, when even the flood maps determining flood zones don’t include your property as ‘at-risk’ for flooding. Yet now too many of you know these truths, and these truths and this damage are both palpable and painful, in addition to being wildly expensive. Typically, the common rhetoric around most ANY insurance premium tends to be, “it’s too expensive”. Previous to this disaster, FEMA flood insurance rates averaged between $400-$600. a year. Compare that to Hurricane Matthew’s average US homeowner’s reported losses of between $10,000-150,000 and, well, enough said. You can’t buy homeowners insurance when the corner of your house is on fire. You can’t qualify to buy life insurance when your health is seriously compromised. You can’t buy comprehensive coverage on your vehicle as you assess your broken windshield. So, even if your property doesn’t show up on the mapped, designated flood zones, check the rates for flood insurance now with your insurer, and/or FEMA, through the National Flood Insurance Program, and buy flood insurance to prevent significant financial loss in future storms. This is exactly the time that you fall back on your emergency savings funds. You know: those 6-9 months of living expenses that you have tucked away in a savings account or money market fund. Don’t have that? While as a Fee-Only CERTIFIED FINANCIAL PLANNER™ with my Master’s Degree in Retirement Planning, I shudder to recommend anyone raiding their retirement funds prior to retirement, you could tap your 401(k) for a temporary loan of ½ of your balance up to $50,000. Buy & install these soonest. Gather interested parties in your neighborhood, or complex in order to bid to a provider for a quantity discount. Contractors will be inundated with repairs in the next few weeks and months. Yet within a year, you can get as many homeowners as possible together so you can collectively approach a local contracting firm or Shutter manufacturer, to garner a discount. If you own a pool, it was surely filled or flooded with rainwater, much of it very acidic. As such, the pool’s pH balance is most likely very altered so the chemistry needs to be checked with test strips to ensure the alkalinity and sanitizer levels are safe and corrected. Obviously, the debris, leaves, dirt need to be skimmed/vacuumed out as soon as possible, since they all contain contaminants. The sanitizer will attempt to correct these imbalances, yet most likely will need extra help. Drain excess levels of water by using your pool’s ‘waste’ setting. And finally, you may need or want to, ‘shock’ your pool. While there are apparently up to 4 types of pool shocks, basically shocking involves adding an oxidizing concoction that destroys the ‘dead’ chlorine, which is called chloramine. You’ll smell a chlorine odor since this shocking turns this dead chlorine into a gas—all is well. Once all the water tests eventually return to normal, then, and only then, should you swim, or allow children to swim in your pool. Be patient, this process could take several days. So, let’s all assess where we can fill in the gaps of our un- or under-preparedness, so that ‘next time’ we’ll be safer and less stressed. Don’t miss out on all my timely and informative information/articles like this. 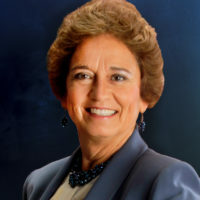 Sign up for Morrison’s Money Minute newsletter at http://www.debralmorrison.com/morrison-money-minute-signup/.